Core Strengths’ award-winning assessments have helped managers unlock results through relationships. For 46 years we’ve taught teams how to improve performance, break through conflict, and transform their culture. CCL is a pioneer in leadership development assessments with more than 30 years of experience in the field and a steady pipeline of new services, including CCL Compass. Assessments are core to the results we drive for clients. BTS is a world-leading strategy implementation firm focused on the people side of strategy. BTS assessments are innovative, scalable and consistently provide results that create measurable business impact for our clients. Our experience and strong history of highly effective assessments define our practice as a leader in the field. Mercer’s talent experts have been helping organizations from multinationals to start-ups with their people for more than 70 years through consulting, information solutions, technology, tools and exclusive research. We make it our job to keep you ahead of the market with our holistic approach to all things talent. From talent evaluation, leadership assessment, performance and compensation management to workforce planning, we support your HR strategy. Aon has programs and tools that identify, engage, reward, develop and motivate your people to work to their highest potential. Caliper is a global employee assessment and talent development company that uses rigorous behavioral science, leading-edge technology, and deep expertise to help organizations align talent with strategy, hire better people faster and develop leaders, teams and mission-critical employees. According to a research study by Colorado State University, SOCIAL STYLE® is the world’s most effective interpersonal skills program. 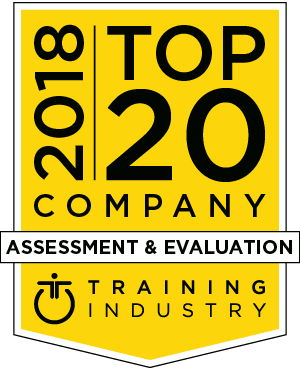 Even though these assessments and evaluations have been used by tens of millions of people in nearly 100 countries, TRACOM is not resting on its success. The creator of SOCIAL STYLE continually works to update, enhance and improve the model. Character is the blind spot of our time, yet nothing is more important to solve the complex problems of today's world. Tilt 365 supports leaders and teams with a suite of scientifically validated development tools and learning workshops that predict and accelerate productivity, creativity and innovation in people, teams and culture. Hogan Assessments is a global leader in personality assessment, helping businesses dramatically reduce turnover and increase productivity by hiring the right people, developing key talent and evaluating leadership potential. Hogan's assessments are available in 57 countries and 46 languages and are used by more than 70 percent of the Fortune 500. The Devine Group offers employee assessments and talent analytic tools to help employers hire smarter, develop their talent and drive results by connecting individual competencies to company performance. Our assessments span all positions from entry-level through the C-suite. Extended DISC® is validated – and periodically re-validated – around the world to ensure reliability and accuracy. It is an assessment platform that allows clients to tailor the assessments to their unique needs and preferences. TTI Success Insights reveals human potential by expanding the awareness of self, others and organizations. Using validated, reliable research, the company helps organizations hire, retain, develop and manage the best talent in the market. GP Strategies is a global leader in workforce performance solutions. While we believe delivering great learning experiences is important, it is only part of a process that delivers our clients great outcomes. We are in the business of partnering with our clients to facilitate their strategic business goals with assessment and evaluation services. Genos International is the only emotional intelligence assessment provider focusing specifically on the assessment of ‘Demonstrated Emotional Intelligence’ – the way people ‘show up.’ A range of development programs that are fully integrated with our assessments makes Genos the only complete emotional intelligence assessment solution. Our psychometrics library has served millions of users at 10,000+ organizations. Persona Labs helps develop talent by connecting individual competencies to company performance, so managers can address behavioral gaps and target the employee's potential to grow for sales, leadership, digital transformation, and diversity. Intelligent Solutions for People Analytics - We work with our clients to discover needs (known and otherwise); measure through assessment (traditional and custom); integrate systems across and within; analyze findings (advanced and personalized); and culminate a solution that’s unique and actionable. DDI is a global leadership consulting firm that helps organizations hire, promote and develop exceptional leaders at every level. Built on five decades of research and experience in the science of leadership, DDI’s evidence-based assessment and development solutions enable millions of leaders around the world to succeed. APTMetrics is a human resource consultancy that builds world-class talent solutions and is nationally recognized for its employment litigation support services. This combination ensures that the unique HR consulting services and talent management solutions we deliver are inclusive, fair, valid and legally defensible. We provide exceptionally accurate assessments that empower organizations to select individuals best suited to excel on the job. Our 70 years of experience has led to some of the most innovative technology and content in the business, and we deliver these processes in a manner that is proven to withstand the most stringent legal scrutiny. Metrics That Matter’s organizational goal is to enable our clients and the industry by making the evaluation process scalable, affordable and effective so L&D groups can demonstrate their value, contribute in measurable ways to the success of their business, and continuously improve their programs.